Why would Freeport support the Arizona Centennial Museum? One of the big mysteries of the Arizona Historical Society attack on the Arizona Mining and Mineral Museum is the participation of Freeport McMoran Copper and Gold Inc. Freeport purchased Phelps Dodge a few years back. In addition to acquiring huge copper mines in Arizona, they inherited over a century of Arizona mining history and tradition. Much of that is currently on display in the Arizona Mining and Mineral Museum. Part of the new gallery was already completed when the Governor changed the law to transfer the building and museum to the Arizona Historical Society. They have been directed to convert it to the 5C Arizona Centennial Museum featuring cattle, citrus, cotton, copper, and climate. As mineral museum supporters spoke out against the bill at the Senate hearing, it became very apparent that Freeport’s lobbyist was actively supporting the bill. There were also stories about Freeport having committed one million dollars to the 5C Centennial Museum. Those stories continue to be circulated by the Arizona Historical Society and also appear on other blogs, but have not yet been confirmed. The Arizona Centennial foundation, which would be the recipient of the money, has not made a formal announcement. Inquiries sent to Freeport have not been answered. Many wonder why Freeport would do that. On the surface, it does not appear to be in their best interest. 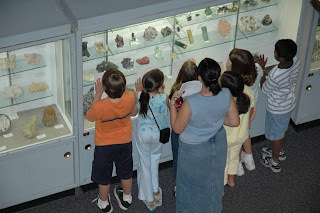 The existing mineral museum features their products, technologies, and history for more completely that the 5C Arizona Centennial Museum ever would. According to preliminary plans, mining and mineral display would be reduced to much less that 20% of the existing floor space. As discussed in the June 12 post on this blog, that remaining space would be focused on social issues related to mining rather than on technology. Freeport does generously support earth science museum and education. They gave a million dollar grant to the University of Arizona mineral museum, and just this month (as reported in the September 17 issue of the Arizona Republic) they gave a half million dollar to promote science education in Arizona. They were the biggest supporter of the Friends of the Arizona Mining and Mineral Museum, and even provided a generous grant while the law was being changed to eliminate the mineral museum. Therefore, Freeport support for the 5C Arizona Centennial Museum, which will obliterate the mineral museum, is most puzzling. Are there two Freeports? Will there be Cactus in the 5C Arizona Centennial Museum? 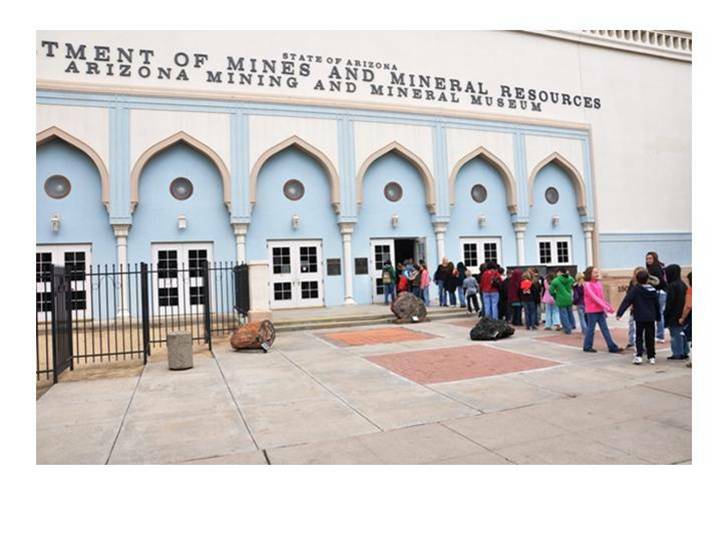 Governor Brewer directed the Arizona Historical Society to convert the Arizona Mining and Mineral Museum into the 5C Centennial Museum. The museum is to feature cows, cotton, citrus, copper, and climate. In preparation for that, she had the Arizona Legislature rubber stamp a bill to transfer the mineral museum to the historical society. However, so many citizens appeared to protest at the Senate public hearing that was that there was standing room only. Possibly reacting to unfavorable public comments about such a questionable theme for a new museum, the historical society began backing away from the 5C theme right at the hearing. That put them in the peculiar position of promoting passage of a law they were promising not to follow, but the Senate committee did not seem to mind as they voted for the bill along party lines. The historical society droned on about “many Cs”, including computers, construction, canyons, and Cs they had not even though of yet. Now, is seems like things in Arizona that start with the letter C is an even sillier theme for a new museum than the historic but archaic 5C economic theme. However, if we are going to spend millions on a “Many C” museum (or perhaps an XC museum), then the Cs should at least be highly relevant. What is the fist “c thing” that people become aware of when they first come to Arizona? Only someone with the brains of a carrot would not say “cactus”. Colorado has mountains, Florida has beaches, and Arizona has cactus. So, will there be cactus in the XC Arizona Centennial Museum? They should be. Except for copper, cactus was here long before all those other C things. No matter how you travel into Arizona, they are also the most conspicuous. Cacti have other worthy features. The do not stink like cows, and they are much more interesting that cotton plants. Cotton plants all look alike. Not so cactus plants. They come in an unending number of sizes and shapes, and they produce a great variety of beautiful flowers and fruit. Furthermore, they are immune to boll weevils, and do not have to be drenched in pesticides to keep them alive. Look at Arizona postcards. How many cactus picture postcards are there for every citrus field postcard? Ten? A hundred? More? Cactus have a way of capturing the public imagination in a way that a grapefruit tree simply cannot. Grapefruit are boring. Besides, how many people even eat grapefruit? And just how do you put climate into a museum? Do you need a retractable roof, like a football stadium? That’s expensive. Cactus, on the other hand, can be economically acquired and maintained. Cactus are the big C. There cannot be an XC museum without cactus. "The Arizona Historical Society shall operate and maintain the Centennial Museum --------to promote the recognition and celebration of the historical, cultural, economic, and social contributions to this state made by the “Five C’S” of cattle, copper, cotton, climate, and citrus for the observance of the centennial of Arizona as a State." Are you pleased to know that the hired help has been hard at work? 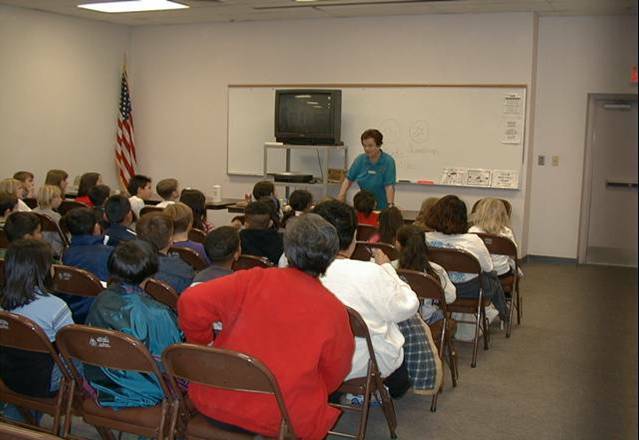 On September 17, 2010, the Arizona Republic published an article by Kerry Fehr-Snyder entitled “Grants kick start Arizona effort to lift science-math skills. The article describes how Governor Brewer has provided $100,000 of seed money to improve science and math education in Arizona. The article reveals that Arizona is at the bottom of all states in the country in science proficiency as measured by National Assessment of Education Progress standards. At a meeting to discuss the grant, Science Foundation Arizona board member Martina-Newell-McGloughlin said Arizona needs to make science and math more interesting. She stated “If the kids are not excited about what they are learning, they’re going to switch to other careers”. Meanwhile, Governor Brewer is diverting millions of dollars to take the excitement out of science education. 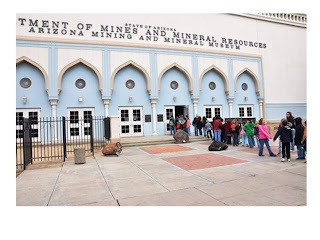 The millions are going to the Arizona Historical Society which has been tasked with replacing the Arizona Mining and Mineral Museum with the 5C Arizona Centennial Museum. The mineral museum is currently an exciting earth science education experience for Arizona students. Middle aged Arizonians fondly remember their school field trip to the mineral museum. How many K-12 learning experiences are so exciting that they are still remembered decades later? The $100,000 grant, however well intended it may have been, cannot begin to compensate for the damage the Arizona Centennial Museum will do to science education. Does Governor Brewer lack diplomatic skills? The appendix to this post is a paragraph from the Arizona Centennial Commissions resource guide. It describes the recommended process for getting community support for centennial projects. When Jan Brewer became Governor, she also became co chairman of the Arizona Centennial Commission. Rather than supporting existing projects, she dreamed up her own pet project at a very late date in centennial planning. Did she follow the suggested procedure for getting community “buy in”. As described in prior postings, she apparently coerced the Arizona Historical Society into supporting her project, the Arizona Centennial Museum. Then, she chose a building for it that was already occupied by one of Arizona’s top rated museums; the Arizona Mining and Mineral Museum. Then, she planned her project in secret. She not only failed to establish community support, she divided the community. Now, one faction wants to build the Arizona Centennial Museum (another history museum) and another wants to save the mineral museum, the only earth science museum that supports state mandated K-12 education standards. The fighting will be prolonged and bitter. Governor Brewer committed a major blunder and displayed a complete lack of leadership ability. She should not be a part of Arizona centennial planning. GETTING COMMUNITY “BUY-IN" | Once you have an idea for a project, especially if it is a special community-wide event, get input from a variety of participants early on. Projects are more likely to succeed if they achieve community buy-in. 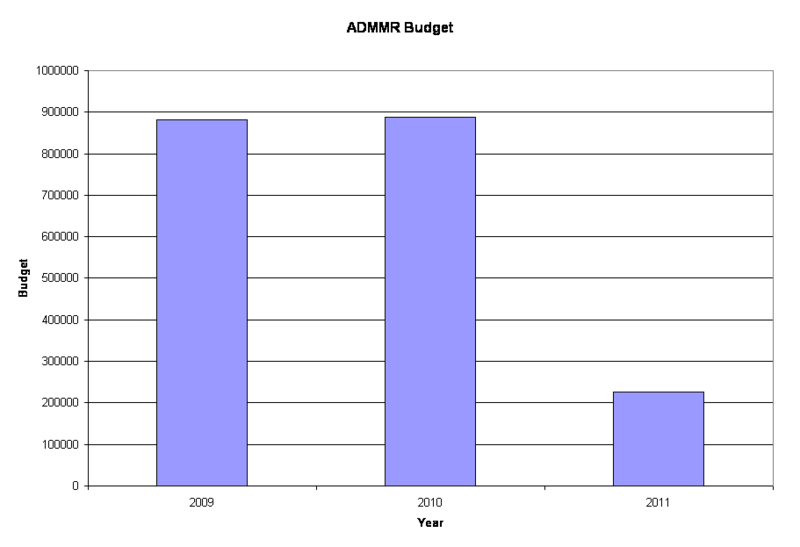 Begin this process by communicating with people within your network and asking them for their assessment of how well the project will be received and how to act on it. Also ask for suggestions for people to invite to an initial "brainstorming" meeting. Once you have a core group of supporters, start asking community organizations for feedback. Be sure to include local historians, genealogists, educators, librarians, and museum staff. Others to include are elected officials, community and tribal leaders, as well as representatives of special interest groups such as senior citizens, VFW halls, and ethnic groups. If you need help identifying resources, the Arizona State Library, Archives and Public Records, the Arizona Historical Society, and the Arizona Humanities Council may be able to help. Why did Senator John Nelson rubber stamp Governor Brewer’s bad idea? Governor Brewer appears to have hatched the idea for the 5C Arizona Centennial Museum all by herself. If she had funding, she could simply have built it. If she absolutely had to have the building at 1502 W. Washington, she could have simply displaced the Arizona Mining and Mineral Museum that currently occupies that building. Any mineral specimens or mining artifacts to be displayed in the 5C museum could have been easily placed there on loan from the Department of Mining and Mineral Resources. Instead, she determined to make a real mess. Somehow she got the idea that the Arizona Mining and Mineral Museum had to be reassigned from the Department of Mines and Mineral Resources to the Arizona Historical Society. Then, she could have the historical society decimate the mineral museum and include a few left over pieces in the 5C museum. To do it the hard way, she had to have Arizona statutes revised. As they were, maintaining and operating the mineral museum was the responsibility of the Arizona Department of Mines and Mineral Resources. So, she had Representative Russ Jones attach and amendment to a water resources bill to implement her wishes. When a large group of mineral museum supporters assembled to speak at the hearing, he pulled the attachment. He then used a bit of legislative trickery to avoid a house hearing on a stand alone bill including the governor’s wishes. That bill then had a public hearing in only the Senate where the committee chairman was Senator John Nelson. A large group of people appeared to speak against the bill, and there was standing room only in the hearing room. Senator Nelson obviously already knew how he would vote, and did not want to listen to all of the speakers. When they protested, he reluctantly gave each of them just two minutes. Then, he allowed the director of the Arizona Historical society to drone on endlessly in support of the bill. The bias was blatantly obvious. At the end of the hearing, he ignored all of the many problems posed by the opposition speakers and cast the deciding vote in favor of the bill. We are supposed to have a government of checks and balances. In the case of the 5C museum bill, it failed completely. Why was Senator John Nelson in the Governors pocket? What political machinery or party chicanery made him rubber stamp and obviously flawed bill for the governor? Why did he place the Governors wishes over the best interest of Arizona and Arizona students? The damage done by Senator John Nelsons biased vote may never be repaired. A scientific mineral collection painstakingly gathered and preserved for over a century is now in the hands of the historical society that lacks the scientific skills to properly care for it. Many specimens came from mines and geological deposits that no longer exist. They cannot be replaced. Senator John Nelson failed in his duty to act in the best interest of the citizens. For reasons still unknown at this time, he rubber stamped a Governors ill conceived whim. Governor Brewer is co-chairman of the Arizona Centennial Commission. That commission is collaborating with the City of Phoenix to give West Washington Street a “face lift”. Said face lift will include trees, shaded bus stops and widened sidewalks. Phoenix is putting in a whopping $400,000 (5%). The balance of the 7.2 million dollars is Federal transportation money probably borrowed from overseas. Just how will that money improve transportation? There could be cannon fire on West Washington from 7th Ave. to the Capitol any day of the week and no one would be hurt. The only people on the sidewalks are a few winos and they are sleeping off last nights binge. What is the apparent “logic” behind this nonsense? Arizona’s first governor walked down West Washington to the Capitol when he took office after Arizona acquired statehood. That was supposedly Arizona’s first parade. Apparently Governor Brewer and her cronies plan to reenact this parade on a “face-lifted” Washington Street on the Centennial. Never mind that this street has fallen into decay over the last hundred years and the 7.2 million dollar expenditure will be absolutely worthless the day after the parade. Some suspect that this parade is also motivating the Governors attack on the Arizona Mining and Mineral Museum at 1502 West Washington (see original post on this blog). She probably doesn’t want to walk past all that junk currently on display around the building. Never mind that the junk consists of priceless historical mining artifacts that have been restored with tens of thousands of volunteer hours. Trash it to make pretty for a reenactment of Governor Hunts first parade. When Governor Hunt's wife died he had her buried on a Papago Park hilltop in a 20-foot-tall pyramid faced with white bathroom tile. Hunt was buried there three years later. How many millions is Brewers pyramid going to cost us? Is Governor Brewer not a team player? Planning for the Arizona Centennial was begun by Governor Napolitano. Many worthy projects were identified by the Arizona Centennial Commission, but funding dried up as the economy collapsed. When Governor Brewer took office the fund raising situation (as reported by the Centennial Commission) looked bleak. When Governor Brewer became governor, she also became the co-chairman of the Arizona Centennial Commission. She could have applied her leadership position to champion worthy projects already planned. However, that is not what she did. Sometime during mid 2009, she hatched her own pet centennial project. She envisioned a new museum on the Capitol Mall based on, of all things, cotton, citrus, copper, cattle and climate (5C Arizona Centennial Museum). She decided she would place her new museum in the building currently occupied by the top rated Arizona Mining and Mineral Museum at 1502 West Washington. Apparently she corralled 5 members from the respective industries to participate in secret planning meetings. The names of those individuals are not yet known, but they are apparently expected to somehow come up with 9 million dollars for the Governors museum. Governor Brewer’s action places her in direct completion with the Arizona Centennial Commission that she chairs. She is trying to extract private funds for her lately conceived project when the already planned projects are not funded. In particular, she is competing with a previously planned project championed by John Driggs that would restore and improve the State Capitol building. What would the people of Arizona must enjoy during the centennial celebration; a restored and enhanced State Capitol building or a new museum with cotton and cows at 1502 West Washington? Is Governor Brewer diminishing Arizona’s Centennial by independently pushing her own pet project? Who has the authority to remove Governor Brewer from the Arizona Centennial Commission? Was the 5C Arizona Centennial Museum Governor Brewers idea? Some one had a 100 year bad idea. That was to replace the top rated Arizona Mining and Mineral Museum with another history museum. The theme of the new 5C history museum (if that is a theme) is citrus, cotton, copper, cattle and climate. Who hatched this peculiar idea? Governor Napolitano began centennial planning, but there was apparently no 5C museum in the plans when she left. The best clue we have as to when the idea appeared is in the recent Arizona Republic (1) story on the 5C centennial museum. Arizona Historical Society “leaders” stated they began meeting with the governor’s office about a year ago. So, whose dimly lit idea was it? The early meetings were shrouded in secrecy protected by lies and gag orders. Little is know about anything prior to the Governors “by invitation only” presentation at the mineral museum in January. There are a few clues in the meeting minutes of the Board of Directors of the Arizona Historical Society. These are posted online in the historical society’s web site. In a late 2009 meeting, the director informed that board that “something big” was in the works, but she was not allowed to talk about it. There are a few more clues in early 2010 minutes. In January, the director said she had been working with “the governor’s office, the Office of Tourism, and five representatives from private industry. In March, she said “the Governor contacted AHS last year”, and “there have been numerous meetings with the Governors office and representatives of the industries”. In April she “reminded the board that the Centennial Museum is a Governors mandate for AHS”. Now, it seems unlikely that someone in one of the five industries would have proposed a new museum featuring the four other industries, especially since they are not related. Likewise, why would the Office of Tourism propose a museum featuring cotton and cows? Finally, the director of the historical society appears to be disassociating herself from the genesis of 5C in every way possible. Therefore, we are left with just one candidate for the originator of this 100 year category bad idea: Governor Brewer. Does Governor Brewer hate 4th graders? For whatever reason, Governor Brewer is being very mean to Arizona’s 4th grade students. She walked into the Arizona Mining and Mineral Museum and presented her until then secret plan to decimate the museum and essentially replace it with yet another history museum administered by the Arizona Historical Society. School buses arrive daily, as they have for decades, bringing students participating in field trips specifically designed to support the state mandated earth science educational curriculum. 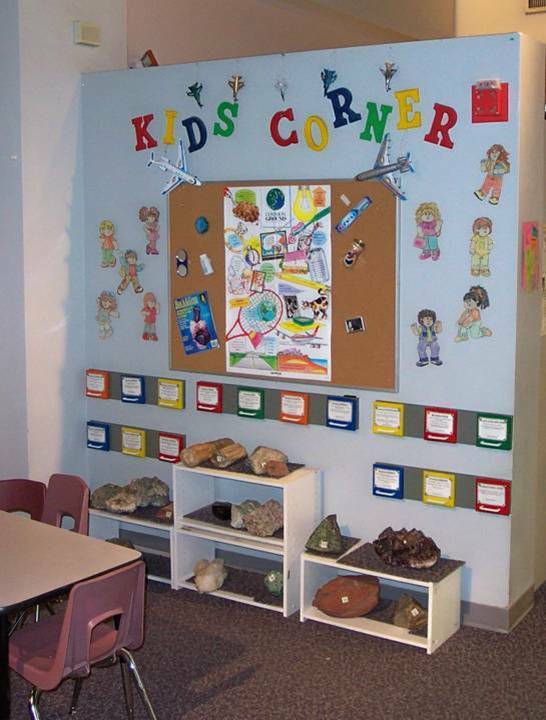 The museum also provides teachers with earth science education materials and instruction. Students are absolutely fascinated by the experience. After a structured classroom introduction, they experience hands on learning about the three basic types of rock in the earths crust. They learn how minerals are deposited in the earths crust, and a huge new interactive copper mine display show them how man extracts minerals from the earth and process them to make the raw materials for the non agricultural materials that support our modern economy. They also learn, from numerous educational displays, how hundreds of different minerals are used to make the many products their lives depend upon. Educational displays also show them how volcanoes work, how crystals grow, how color is formed in minerals, and how minerals are related to the chemists periodic table of the elements. They also learn how their state is unique in its abundance of mineral wealth. Other exhibits show them the beauty irreplaceable natural treasures taken from Arizona’s many historic mining districts and carefully preserved for over a century. They also see the unique beauty of lapidary arts. 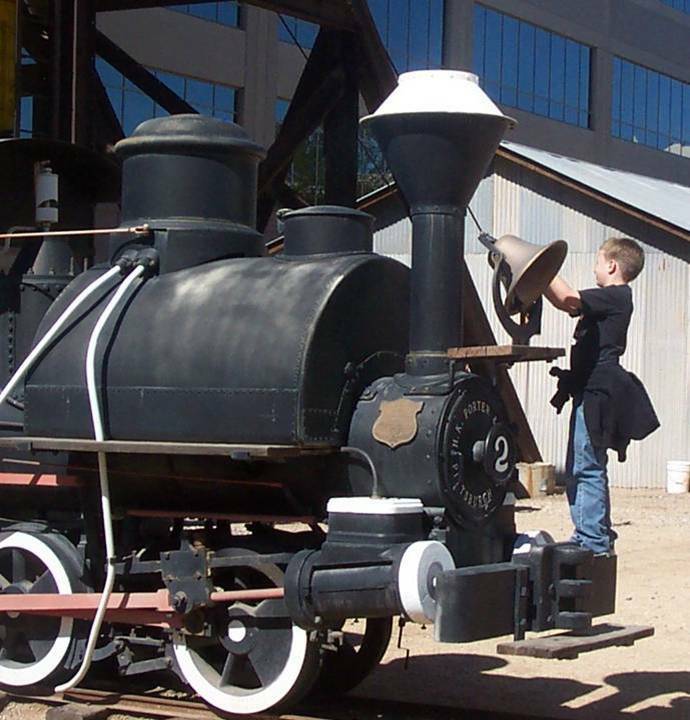 The many historic mining artifacts are also a source of fascination for children. 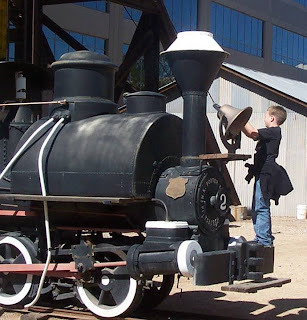 The old narrow gauge steam locomotive from the copper mines in Clifton-Morenci is a favorite. While the museum and its collection have serious scientific and historic value and are of interest to adults as well as children, children in particular leave with an indelible impression in their minds. Ask any middle aged Arizonan if they went to school in metropolitan Phoenix. If they did, ask them if they remember a school field trip. They will fondly share their memory of their class field trip to the Arizona Mining and Mineral Museum. For Governor Brewer to deprive future Arizona school children of this very enjoyable learning experience is shameful. Note: Governor Brewer is not decimating this one of a kind earth science museum to cut cost. As explained in the first post on this blog, she is spending much more money to convert it into another history museum, of which Arizona already has many. Will Governor Brewer put chickens in the 5C Arizona Centennial Museum? After half a year of secret planning, Governor Brewer proudly announced (in January) a “gift to Arizona”: the 5C Arizona Centennial Museum. The museum is to feature citrus, cotton, cattle, copper, and climate. This curious collection of “C” things is taken from old school history books that summarize industry found in early Arizona. Actually, there used to be four “C”s. Someone rewrote history and slipped in “climate”. House Bill 2251, signed by Governor Brewer last spring, actually established the 5C museum in Arizona law. The museum is to be managed by the Arizona Historical Society (AHS) which did a very strange thing when speaking in favor of the bill during the senate hearing. They pronounced that there would in fact be many more “c”s, including construction, computers, and canyons. The curious illogic of promoting a law by enthusiastically announcing that you will not comply with it if passed did not seem to concern the Senate committee as they voted in favor of the bill. So, the Governor and the AHS appear to be planning a “Many C” or “XC” museum for the centennial. Therefore, it seems perfectly logical to ask: Will there be chickens? As the population of the Phoenix – Tucson metropolitan areas continue to grow, eggs and poultry will obviously be a continuously growing industry. Why, it’s not hard to imagine that chickens may soon outnumber cows. Arizona’s overgrazed range land is supporting fewer and fewer cows which never did make a whole lot of sense in the desert anyhow. Like citrus and cotton, cows are on the way out. Ranches find it harder and harder to make a profit, and continuing conflict over the use of Federal land puts further limits grazing rights. Chickens may soon be the only viable agriculture related industry in Arizona. So, if the Governor and AHS have not yet considered chickens for another “C”, they should. Besides, chickens have more charisma than cows. 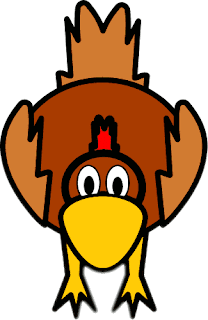 Consider the little Red Hen, Chicken Little, Foghorn Leghorn, and even Easter chicks. The only cow anyone ever heard of was that fool that chewed too much weed and did the lunar leap. No one can even remember her name. Also, if the XC museum included chickens and eggs, there could be an Easter egg collection. That would at least provide something of interest for kids. One “C” that is apparently not included, however, is “cash”. There was no funding for the 5C museum when the bill was passed, and there appears to be none now. The Governor and the AHS appear to have only chicken feed to support their project. Is Governor Brewer insulting Arizona's mining industry? 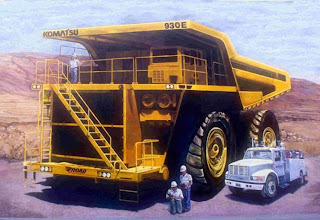 The photos show the life size mural of a mining haul truck that is currently on the north wall of the top rated Arizona Mining and Mineral Museum. The row of school buses in the second photo shows the scale of the mural. A $20,000 grant from Komatsu, presented by their local dealer in Phoenix, financed the mural. Many grants from Arizona’s mining industry have made this very unique, historic, and educational museum possible. The museum began on the state fairgrounds before Arizona became a state, and is a long established part of Arizona’s mining heritage. As indicated in her January presentation on the Arizona Centennial Museum, Governor Brewer plans to paint over this mural as the building is converted into the centennial museum. She also plans to remove the historic pieces of mining equipment (donated over decades by various Arizona mining companies) currently surrounding the building. Inside the building, floor space occupied by mining and mineral displays is to be reduced by over 80%. The Governor plans a permanent 5C centennial museum featuring citrus, cotton, cattle, copper, and climate. However, the agricultural and ranching industries do not typify Arizona like mining does, and only the mining industry chose to support a museum. 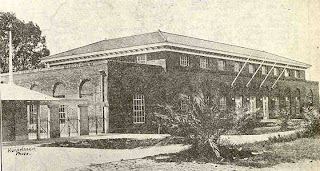 The first mineral museum building, built with mining company support, is shown in the third photo as it appeared in 1919. Arizona is not known for its agricultural products or for ranching. Many other states out produce it in each of these areas. Florida is known for citrus, and Texas is known for ranching. Arizona is known for mining. Arizona has been and is the number one producer of non fuel mining products. The Governors plan is an insult to Arizona’s mining industry. It diminishes its status as a vital and historic state industry, and it decimates the museum it voluntarily sponsored. The insult is amplified by the corresponding 75% cut in the budget for the Arizona Department of Mines and Mineral Resources. This department, also supported by the mining industry, provides a vital service in maintaining extensive records on Arizona mineral resources. This service is invaluable for future mineral exploration. The cut would be understandable if it were done to reduce spending in a budget crisis. However, it was not. All of the money and more was transferred to the Arizona Historical Society to support the Governors centennial museum project. The Governor is spending money to diminish the public perception of mining’s importance. Governor Brewer does not respect the Arizona mining industry, and apparently does not understand Arizona unique mineral wealth.